- A seamless weave in soft fibres, combined with 3D-Thermal technologies makes it the lightest and thinnest of sport shirts! - Flats seams avoid causing irritation or discomfort on muscles. - It does not retain water and remains soft and light, all the way to the finishing line. - 3D Thermal technology in exclusively light fibres allows the body to remain at constant temperature, be it cold or hot outside. - One of these fibres is the interactive On/Off one which breathes with you and the rhythm of your effort. - By adjusting ventilation, the On/Off fibre evacuates heat and sweat and protects during decelerations. - It does not retain water and will remain featherlight in all conditions. - A slight compressive postural weaving in the back allows a better alignment of the body, even when you are feeling fatigue. 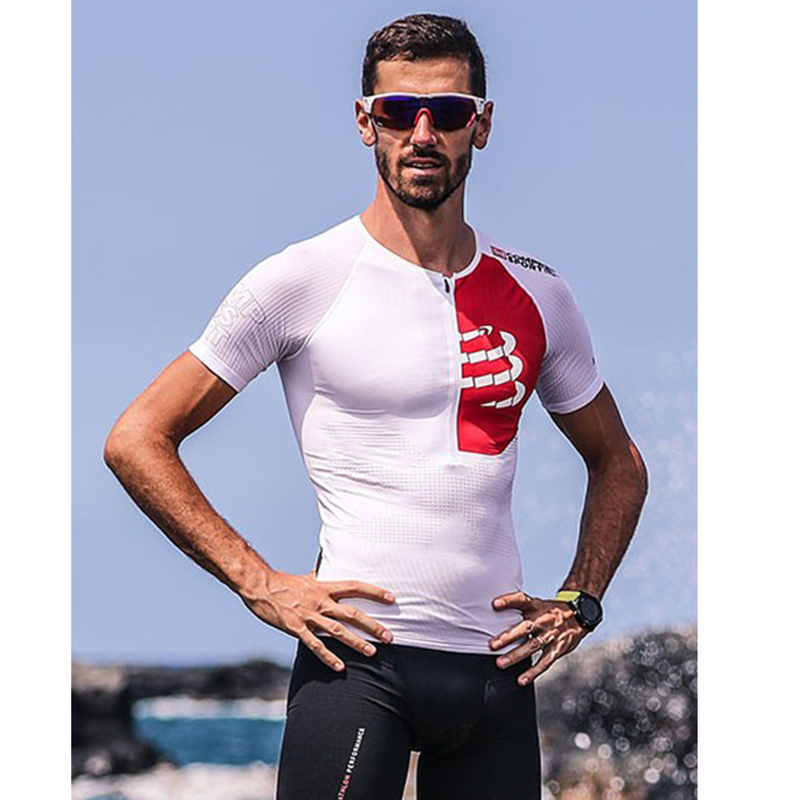 - Made in stretchy fibres and in a form-fitting design, this aerated compressive top offers maximum muscle support.